10 Top Haunted Cities to Explore in the US - You Brave Enough to Visit? 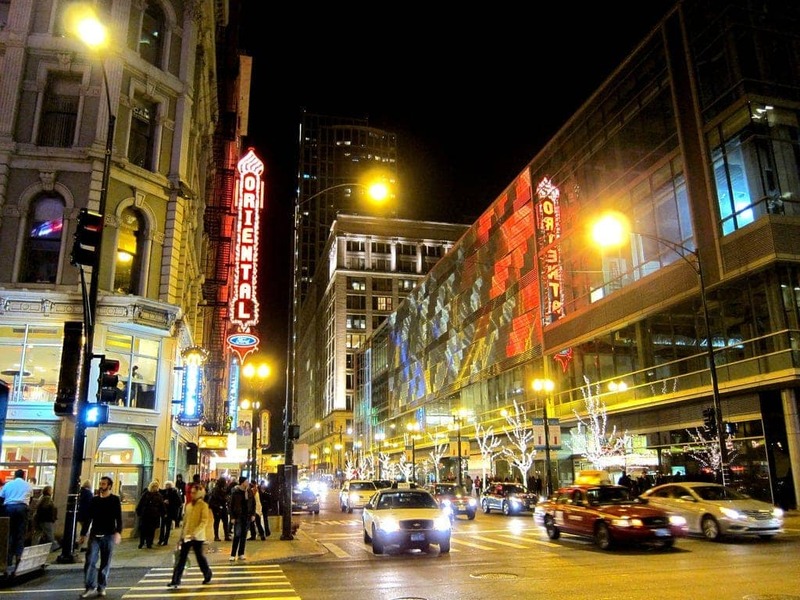 Home » 10 Top Haunted Cities to Explore in the US – Are You Brave Enough To Explore? 10 Top Haunted Cities to Explore in the US – Are You Brave Enough To Explore? Here are the Top 10 haunted cities to explore in the US, with some creepy and scary “haunts” to check out! It’s no secret that being scared is fun. Well…to an extent, right? There’s something exciting about being scared if you know that there’s a possibility that those scary stories “may or may not” be true. It’s actually quite amazing how the mind will grab ahold of an idea and run with it. Honestly, more times than not, we are the ones that are scaring ourselves way more than the surroundings that we are in! Regardless, exploring anything and everything spooky is part of the Halloween fun and is an experience that everyone should try to have at least once in their life! If you find yourself wondering if there are actually “haunted cities” in the US to explore for safe and spooky fun, here are just a few of the top haunted cities with some creepy and scary “haunts” to check out! Any time that you have a city as old and established as Savannah, there are going to be some great ghost sighting and stories to go along with it. Some places have a bit spookier aspect than others, so depending on just how scared you want to be, there are places and options galore in Savannah, Georgia. 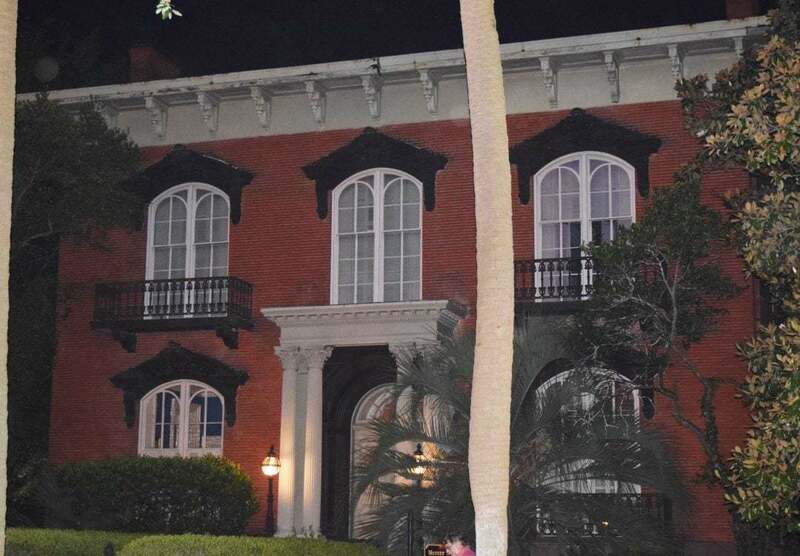 Savannah is a city that has had their share of death and tough times which is why many believe that it’s one of the most haunted cities in the US. 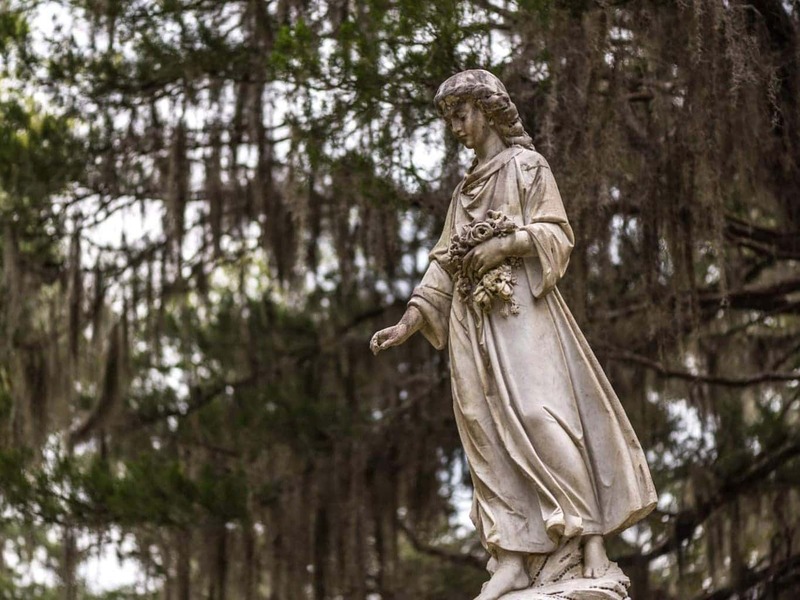 From war battles to deadly diseases, the history books give all the signs that some seriously spooky stuff may actually be happening in Savannah. Take a trip and explore the many ghost tours that are offered to immerse yourself and jump right in. While you’re in town, plan a stop to peek around at the Sorrel Weed House. Stories have it that there are some legit spooky things that happen at night here, with many pictures to show that proof…and if you are truly wanting a once in a lifetime experience, you can stay overnight and experience an after-hours Paranormal Lock-in! Only the bravest of the brave would attempt that! When thinking of words to describe San Francisco, CA, haunted probably isn’t one of the ones that pop into your head. In all reality, there are several spooky places that you need to check out during your time there! Mix a bit of politics in with your visit, and take a stop at the City Hall. While it may not sound overly exciting, ghost sightings have been reported quite frequently there. The original City Hall burned down after an earthquake causing the building to be rebuilt, and there was also an assassination that happened in the building there during the ’70’s. Those two factors give this location some great potential for ghost sightings and even the City Hall seems to agree! Book a free ghost walk at City Hall tour on your next trip! 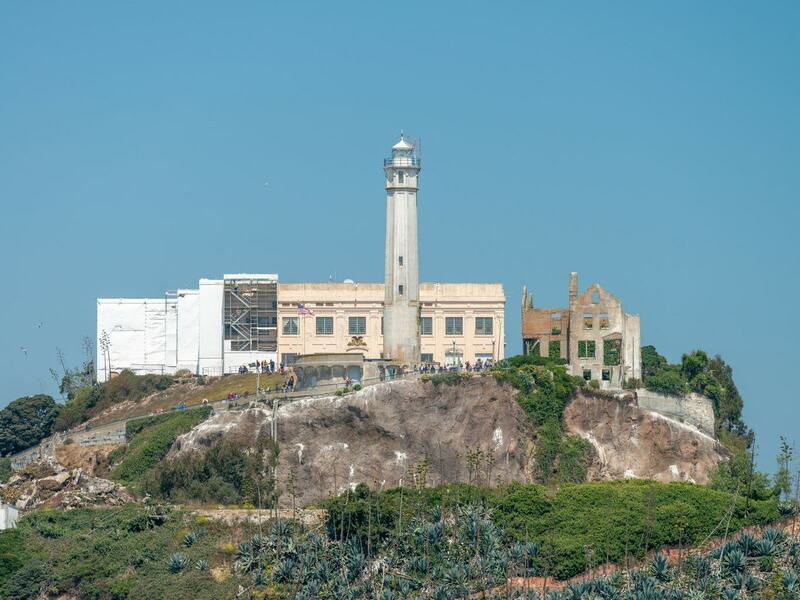 Last but not least, don’t forget about booking a tour of Alcatraz, especially the one at night. Even thinking about hearing those sounds in the jail as you are walking through at night is spooky! Any city that experienced the death and tragedy that Gettysburg did is bound to have a few haunted locations or places. 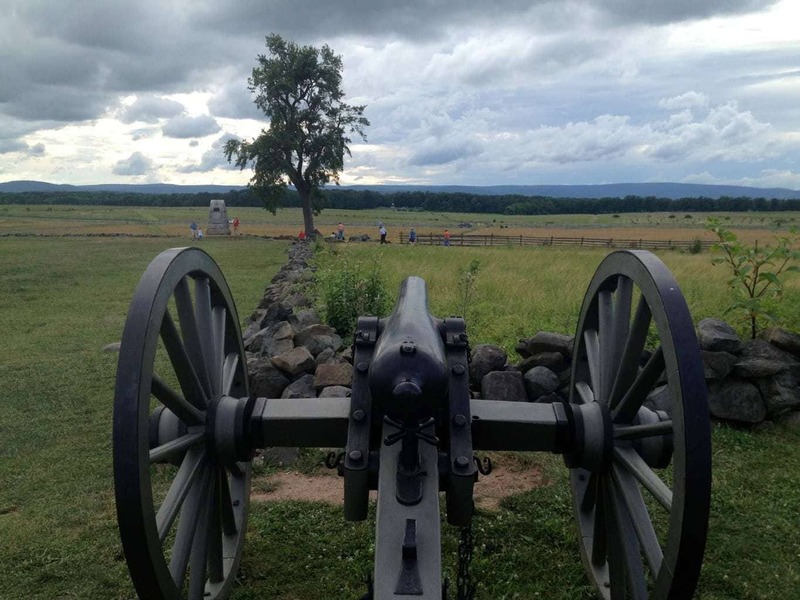 During the Civil War, over 50,000 soldiers lost their lives and rumor has it that some of those soldiers still appear here and there during random times at the Gettysburg park, almost as if they are still fighting but in ghost form instead. To this day, residents of the town claim that on certain nights, they can still hear the sound of the guns shooting as if the war was still occurring right there in town. Devil’s Den is one of the places that many seek to find on their hunt for spookiness when visiting Gettysburg. It’s at this location that intense fighting occurred and thousands of casualties happened. If you can find the location of Devil’s Den, thrill seekers have claimed that something happens mysteriously to their electronics when standing in a certain spot. True or not? Guess you’ll just have to visit to find out! Another big and beautiful city hiding some seriously scary spots. After spending the day exploring the sights, buckle down and get ready to explore the “other” side of San Diego. 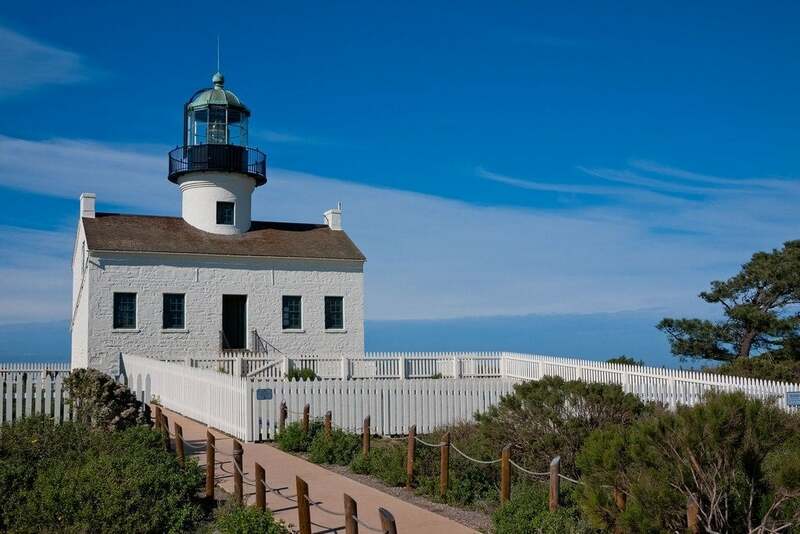 The Old Point Loma Lighthouse is quite beautiful but the locals tell a different story about the visits. Word has it that if you stand inside the lighthouse and look out the windows to the water views, there’s a strong possibility that you’ll get an overwhelming feeling that someone is standing right behind you, watching you. Brave enough to give it a go? Don’t leave San Diego without visiting America’s #1 Most Haunted House, The Whaley House. In its current state, it’s set up as a museum that you can tour and see, but keep your eyes open for the many ghosts that tend to make an appearance. Death and suicide happened in this house and it’s said that those spirits are still roaming the halls today. If that doesn’t spook you enough, visit The Joshua Ward House as well. 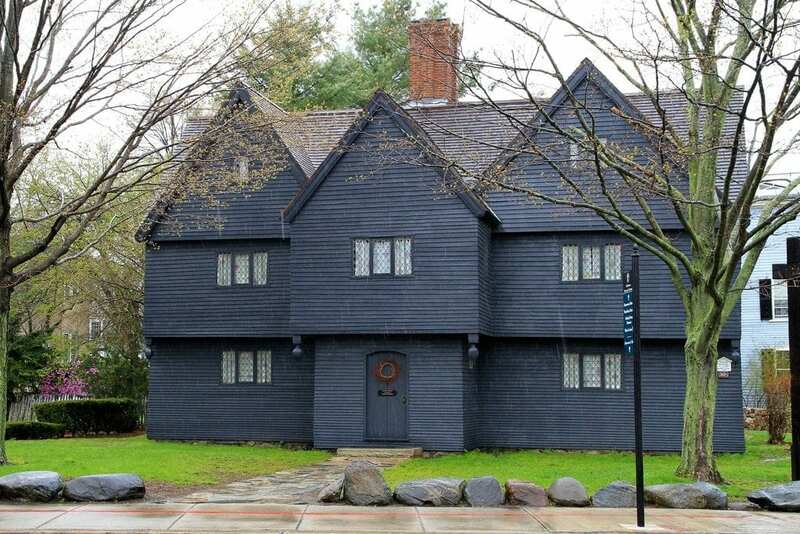 The Sheriff during the witch trials lived here, and was known for his cruelty towards those who he believed were witches. His body originally was actually buried under the basement of this home but has since been moved to the local cemetery. Galveston, Texas may not pop into your mind when you think of haunted cities, but in the year 1900, a hurricane struck Galveston with such force that it ended up causing the deaths of over 8,000 people. 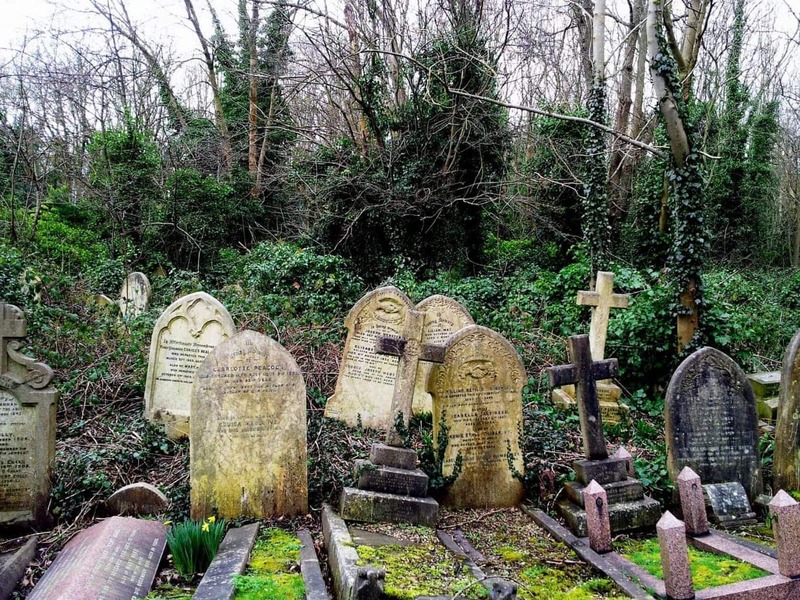 The ghosts and spirits of some who perished are said to still haunt the city today. 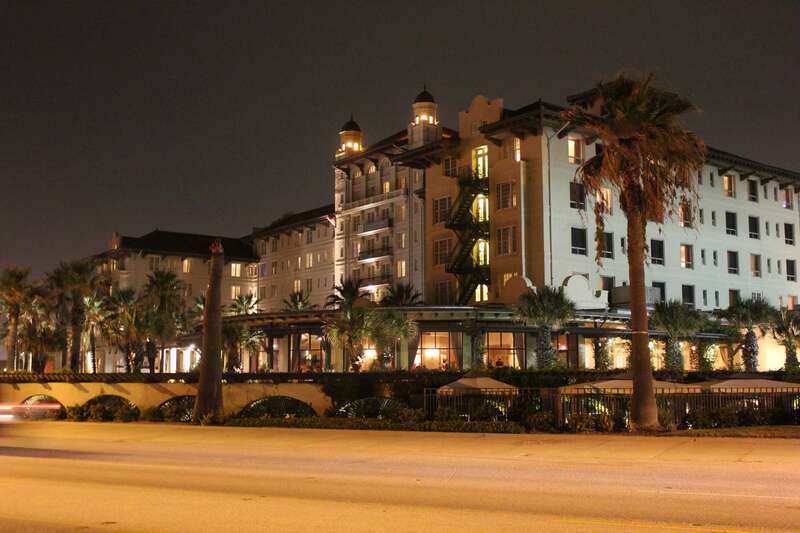 If you are looking for a spooky overnight stay, book a room at the Hotel Galvez. Room 501 is supposed to be the one with the most reported paranormal activity but there have actually been reports and sightings from guests all over the hotel. Even the main floor bathroom has had its share of scary tales! Even the Windy City has its list of scary stories. The Great Fire of Chicago plays a major role in the spooky tales that travel around the city as did the burning of the Iroquois Theater. Combined, both fires killed over 900 people and the alley behind the theater even earned the name “Death Alley” because of all the lives last that day. While the theater is no longer there, a new one has been built in its spot. The Oriental Theater is said to be haunted where many people hear screams and smell smoke from a fire that isn’t actually burning. The next time that you find yourself in St. Paul, Minnesota, you need to check out the Washaba Street Caves. Used to sneak alcohol underground back in the day, the tunnels and underground caves are said to be haunted by men gangsters who were killed in them. Luckily for you, there are ghost tours offered starting in October to get the whole experience for yourself! Brush up on your history during your visit to Ft. Lauderdale, Florida with a visit to the New River Inn. It used to actually be an old hotel, which was then changed and called New River Inn and is now the site for the Old Ft. Lauderdale History Museum. Numerous sightings of the old owner from the 1900’s have been reported as he seems to not want to leave the premises, even though he died many, many, many years ago. In addition to him being reported, there is also another man who is said to walk the first floor of the building during the night as well. 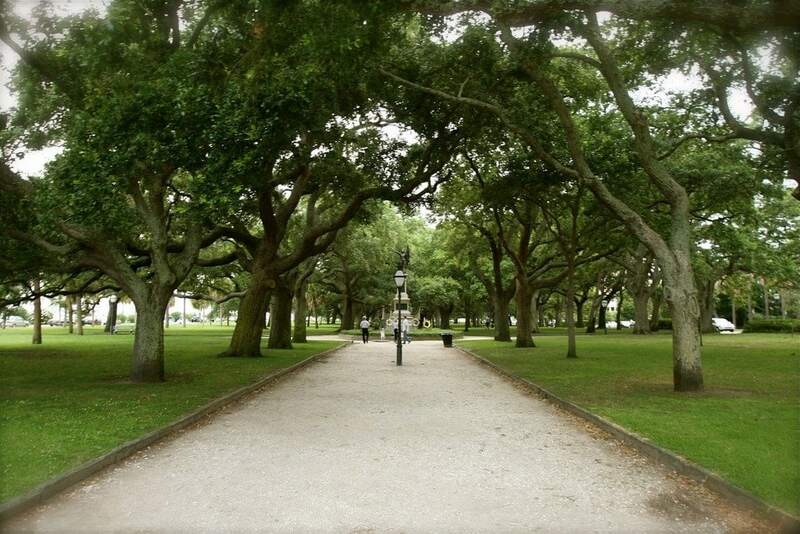 Charleston, South Carolina is riddled with scary and haunted ghost stories. So much so that they even had a visit from The Travel Channel to check it all out! One of the scariest places to check out in Charleston? The Old Jail. If you’re feeling brave, booking a Haunted Jail Tour is an absolute must. The rules? It’s so scary that children aren’t allowed, at all. If that doesn’t spook you, then your next stop on your thrill-seeking visit should be at White Point Garden where 50 pirates were hung to their death back in 1700. People report that those pirates are still there and if you’re lucky, (or not), you may catch a glimpse or two. How brave are you feeling? 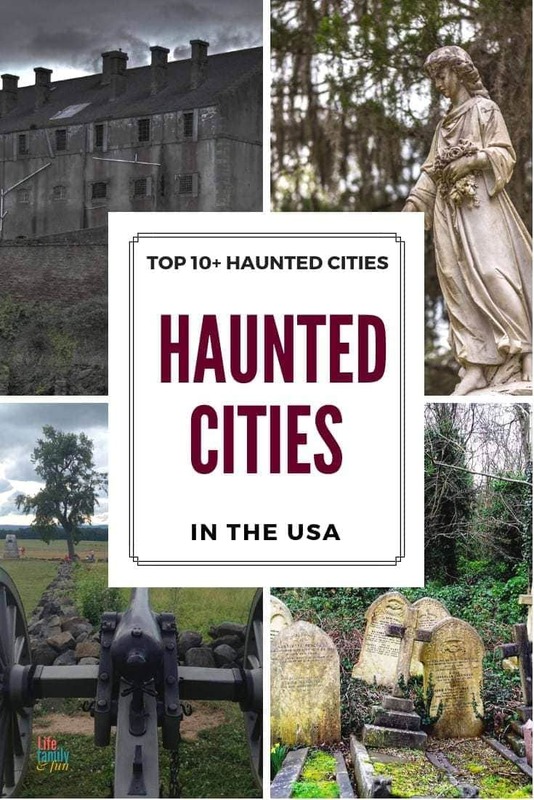 If you are ready to tackle these 10 Top Haunted Cities in the US and explore all their history, you’ll have your work cut out for you for sure! Just remember, everyone has a different experience when it comes to haunted and spooky things, so make certain that you are prepared for anything and everything to happen!